The final national championships of the year take place tomorrow at the Argyll Velodrome in Edmonton. While it is expected to be dry and sunny, the temperature is not predicted to go above 6 or 7 degrees, and any wind will bring it closer to freezing. Today there were snow flurries. 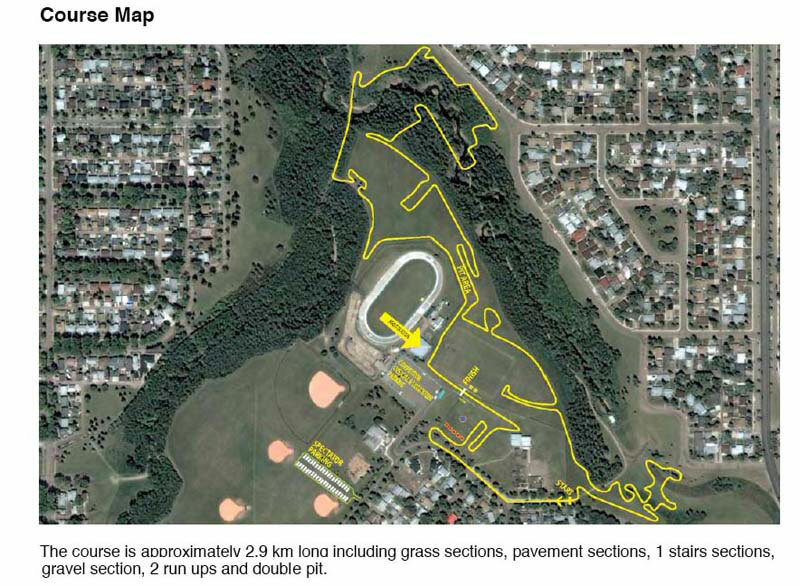 The 2.9 kilometre circuit is one long oval, with lots of twists and turns. Each end has a run up climb, and there will be barriers installed shortly before the finish line. The expectation is that the men will do eight laps in their one hour race. There are over 160 riders registered across all categories. In the elite men's race, defending champion Mike Garrigan (Jet Power) will be looking to hold off Geoff Kabush (Maxxis), a former champion himself. Other top contenders include Aaron Schooler (H&R Block) and Ryan Hopping (United Cycle). Missing for the first time in many years is 2006 champion Greg Reain. On the women's side, defending champion Wendy Simms (Kona) is the clear favourite, with a number of former challengers such as Lyne Bessette and Alison Sydor missing. Mical Dyck (Terrascape) and Kelly Jones (Sugoi) will also have a strong shot at the podium. We spoke with Mike Garrigan today, as he headed out to train on the course. "I like it, although I heard that some of the other guys said that it is too much like a road course. It will be fast, and I expect that we will have some drafting going on." Garrigan definitely agrees that Kabush is his chief rival, "He had a strong race at the Vegas 'Cross, and he is always strong rider." Racing gets underway at 9:00 am (local / 11:00 am EDT) with the Master categories. 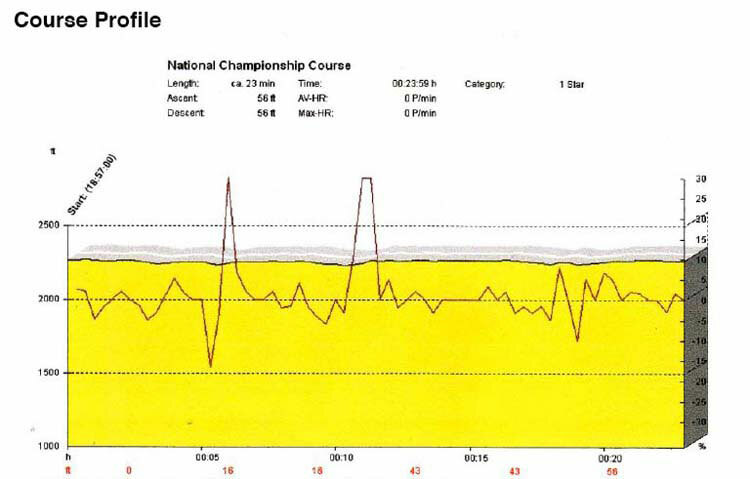 The U23 men race at 1:00 pm (local), the women at 2:00 pm and the elite men at 3:00 pm. We will be provide updates with results after the morning categories, with live race updates in the afternoon.